On the plus side, his nose tooth didn't have cavities! Science has established pretty firmly that there are a great many things that have no business being your nose, like fingers, plastic toys, or human teeth. Unfortunately, the latter was found in the nasal cavity of an unsuspecting Saudi Arabian 22-year old male when he paid a visit to his doctor. After suffering from nosebleeds once or twice a month for three years, this patient was fed up and wanted see what was causing them. The problem was a half-inch tooth, suspiciously growing well above the rest of his pearly whites. According to the report this tooth was growing independently of those in his mouth, which were otherwise normal and well-aligned in case you were wondering. And apparently the phenomenon isn't that uncommon; extra teeth can be found in up to 3.9% of the population, a third of which grow upside-down and away from the mouth. Regardless, it's still incredibly bizarre to find those teeth in other body parts entirely. 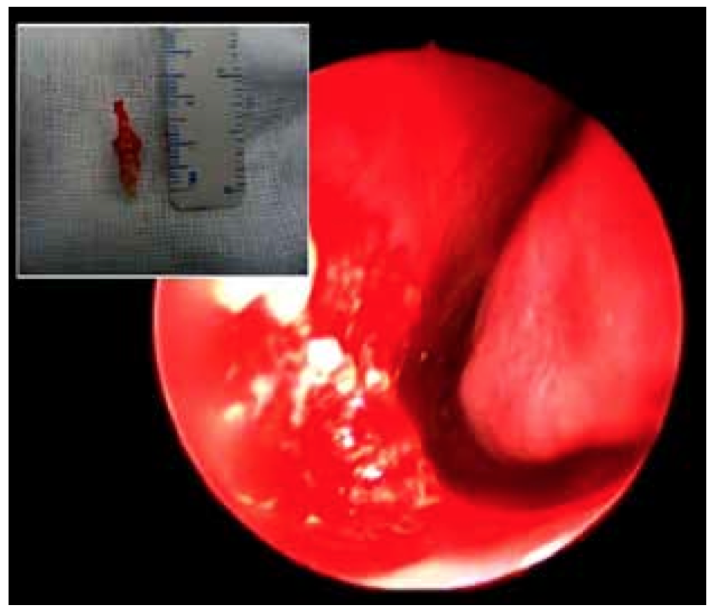 "It's an unusual case of an extra tooth," said Dr. John Hellstein, a dentist and University of Iowa oral pathology professor who wasn't attached to the case, "certainly, the most impressive intranasal photo I think I've ever seen of one. I've never seen the tooth actually in there. "We see several cases each year, but for it to have erupted up and through the nasal floor - that's unusual." Thankfully, the tooth was able to be removed in one of the few nasal-based tooth extractions in human history, and the patient's nosebleeds fully subsided three months later. 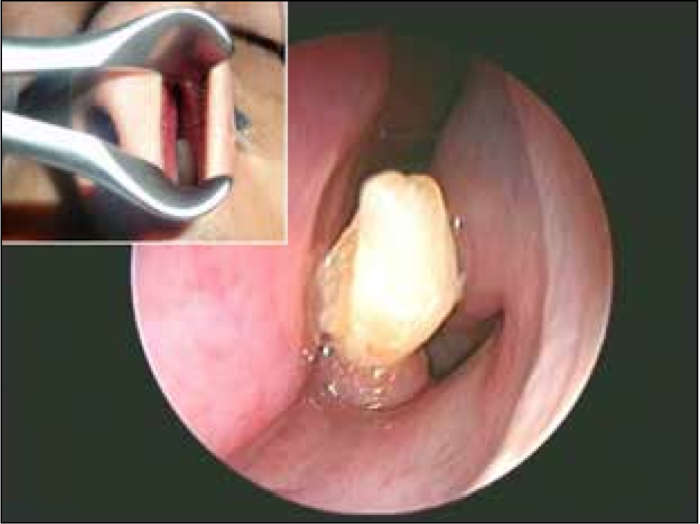 The American Journal of Case Reports concluded that early extraction is key to preventing nosebleeds and related complications. In other words, if you suspect a tooth might be growing inside your nose, don't wait three years to find out. See your doctor right away.